Floyd Lock and Safe Company, owned by Floyd E. Bachman, began in downtown Minneapolis in 1945. Floyd sold the business in 1953 to Jean and Chuck Karch. Their son, Mike, still operates the business today. Back in the 50’s, the company was located in a small retail space on 8th and Hennepin. From there the company moved to 11th and Hennepin, Lake and Hennepin, and in 1986 to Floyd’s current 30,000 square foot space in Bloomington, Minnesota. In the mid-1980’s the name was changed to Floyd Total Security to better reflect all the security products and service now offered. Today, Floyd Total Security has four divisions to serve our clients. The first is our Heritage Locksmithing business. This is where Floyd began and is still a vibrant business unit. 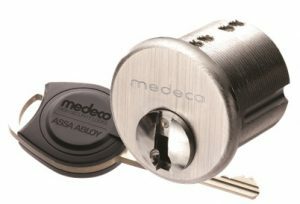 Floyd Locksmiths offer the latest in high-security locking hardware, ADA compliment hardware, safes and much more. Floyd provides mobile service both residential and commercial customers and full-service locksmithing store. Second is our Residential Security Division. As a Factory Authorized Honey Security Dealer, Floyd offersits customers the latest technology available. 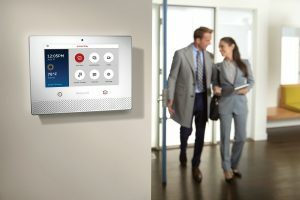 As part of our systems, customers can turn their systems on and off, open doors, view cameras and much more all from their cell phone of tablet. Our third business unit is our commercial security services division. This department provides security services for small business commercial security and fire system to large systems that combine security, CCTV and access control. These specialists are called Security Integrators, and Floyd has the best. Floyd has a staff of network experts to help our customers utilize their systems to the fullest. Our fourth business unit is Security Response Services or SRSI. This is our Underwriters Listed Monitoring Station that began in 1972. Trained operators respond to all types of alarms, including video, and enjoy the latest in monitoring software. Floyd systems are recognized by insurance companies and qualify for maximum insurance discounts. Floyd Security is a Minnesota company protecting your friends and neighbors for over 60 years. In the tradition of Jean and Chuck Karch, Floyd is active within the community.